Get Your Mp3 Copy Now! 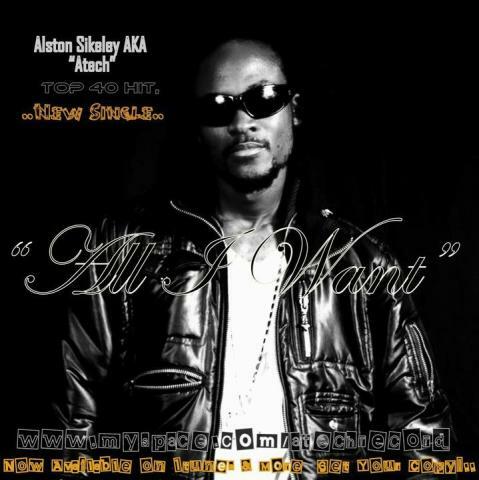 "All I Want"
Alston Sikeley The R&B Sensation AKA "Atech" R&B Hip-Hop/Song Writer.. Born on May 13,1983. Came to a family of great music background especially My Dad a pastor & song administered. Alston Began his music career at a very young age in Liberia, West Africa. Attended The College West Africa Monrovia Doing Music as elective Course. provided the backdrop for "ATech" to develop his God given talent by allowing him a platform to express himself both vocally and instrumentally. A-Tech Been Around The World part of Europe Before coming to the United States, Atech continued to grow as a musician by writing Songs for local Artists and continuing to perform in Around the US Chicago IL,Dallas TX & more especially his cities Minneapolis MN. The music of AtechRecords is a unique & Di-versed. (R&B POP Hip-Hop Reggae African & more). Atech love for music and his fans is evident in every show stopping performance he gives. It is A-tech wish that everyone can find something to relate to in his music.